Oaxaca has long been a hidden gem for travelers due to the region’s sparkling beaches, gourmet cuisine and cultural flair. This Southern state of Mexico boasts one of the largest populations of indigenous people, many of whom create the virtual treasure trove of handmade artisan goods that come from this region. An artisan sews a traditional apron. 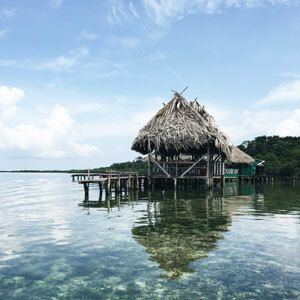 Historically, these communities developed their crafts for practical purposes, including traditional clothing, cooking vessels, handmade baskets, and elaborately carved candles. These products were also used for local commerce and bartering processes – traditions that have carried forward to our contemporary times. 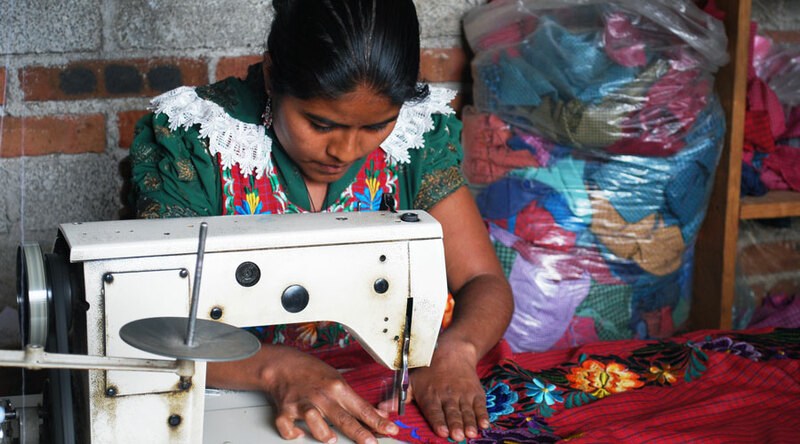 Artisans typically source their materials locally. Natural dyes are made from plants, indigo, and an overabundance of parasitic insects. Potters form ceramics from local earth and use pit fires to harden their crafts. Weavers favor portable backstrap looms to weave wool and cotton textiles. Wood carvings are made from the same type of tree that produces an aromatic resin used in cleansing and religious ceremonies. 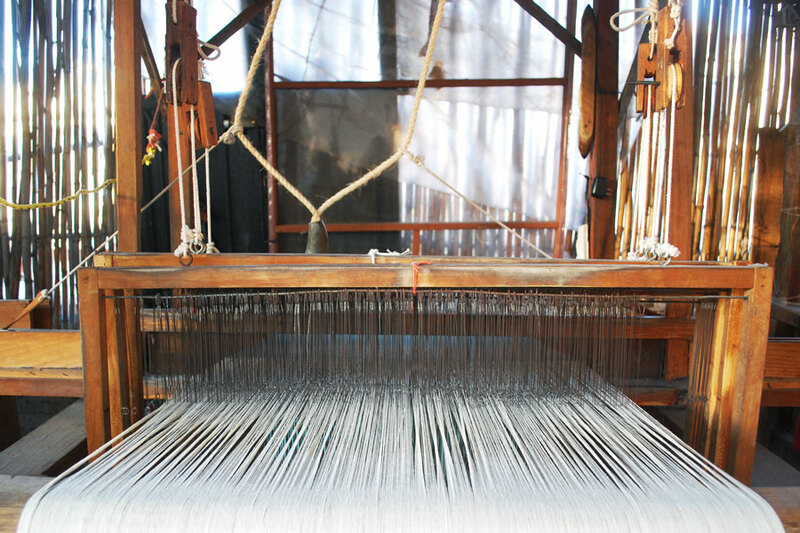 With the arrival of the Spanish in the 1500s, many new materials and tools were introduced, including standing looms, wool and other materials, many of which are still used today. An artisan weaver employs ancient techniques on a traditional backstrap loom in the valley region of Oaxaca. 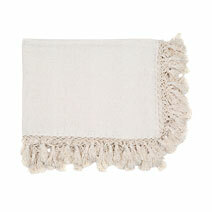 Oaxaca is best known for wool textiles woven by hand on a backstrap loom. The area is also the birthplace of a range of handmade pottery pieces, wood carvings and palm weaving. Prices range from reasonably priced painted knick-knacks to upscale hand woven rugs that involve months of work and natural dyes. 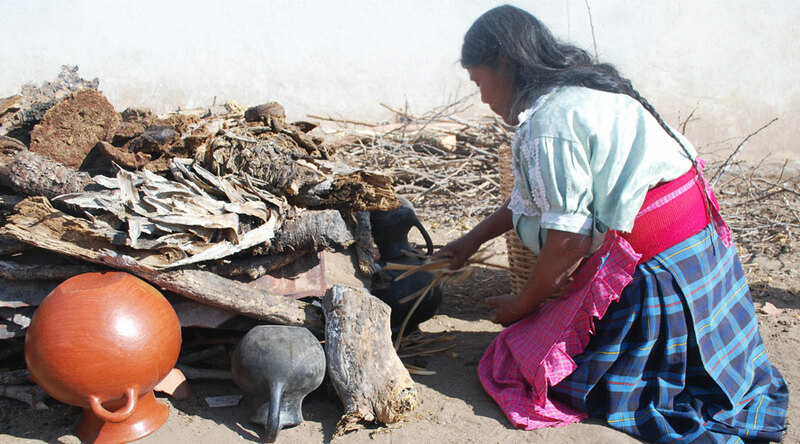 An artisan prepares a pit for firing traditional barro rojo pieces, like the orange pot featured in the foreground. 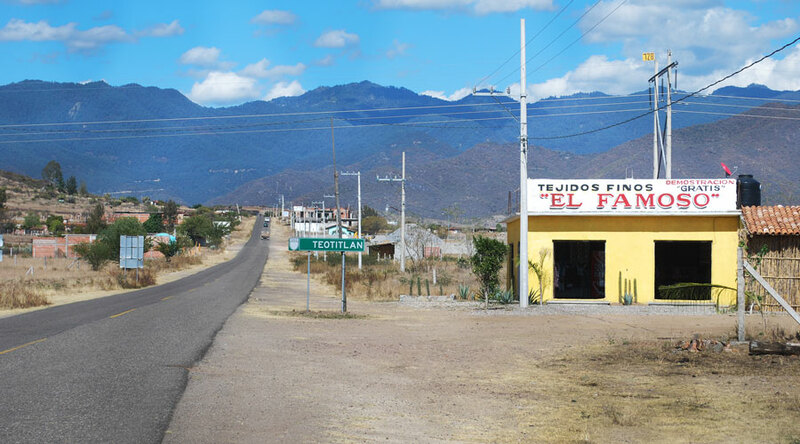 While some artisans have migrated to the larger towns and cities, many can still be found in their home pueblos where nearly every village proudly employs their own area of expertise. San Bartolo Coyotepec is famous for their black pottery, Teotitlan del Valle sees regular visitors for their hand woven wool rugs, and San Marcos Tlapazola produces the ubiquitous barro rojo red pottery that can be found in the temporary kitchens of street vendors, as well as ritzy eateries in various pockets of Mexico and beyond. The pueblo of Teotitlan del Valley is home to leagues of talented rug weavers. Family legacy and the passing of knowledge down through the generations are the methods employed in keeping these ancient traditions alive. Grandparents work alongside their grandchildren, with the entire family playing their own specific roles in the creative process. Children are often taught how to weave by their elders when they’re around eight years old, which they practice after school or on the weekends. In some communities, it is only the men who weave, while in others, it is only the women who produce pottery. 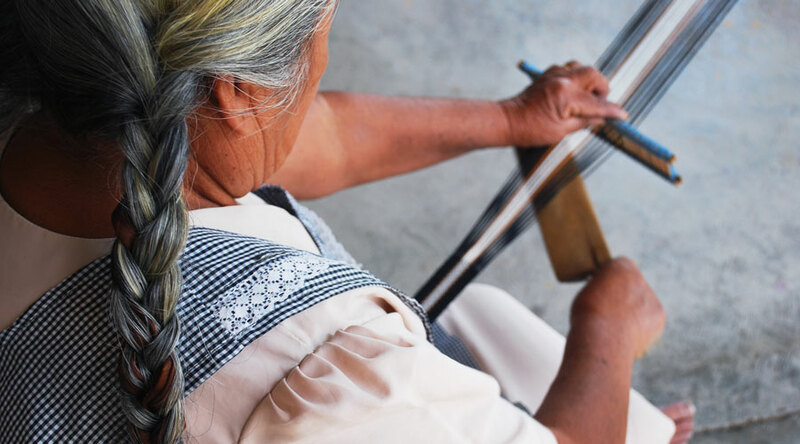 Traditions vary from place to place, however there is always a constant: In contributing their artistic creations for the world to appreciate, the artisans of Oaxaca share their personal histories and pride in their cultural heritage. By collaborating with these families through ethical sourcing and production practices, we’re able to participate in their incredible histories, and help to support a positive stream of income for generations of families throughout the state. Keep your eyes on this space for more celebrations of the beauty of the Oaxacan community and sneak peeks of what Meridian has in development! Do you have any favorite crafts from Mexico? 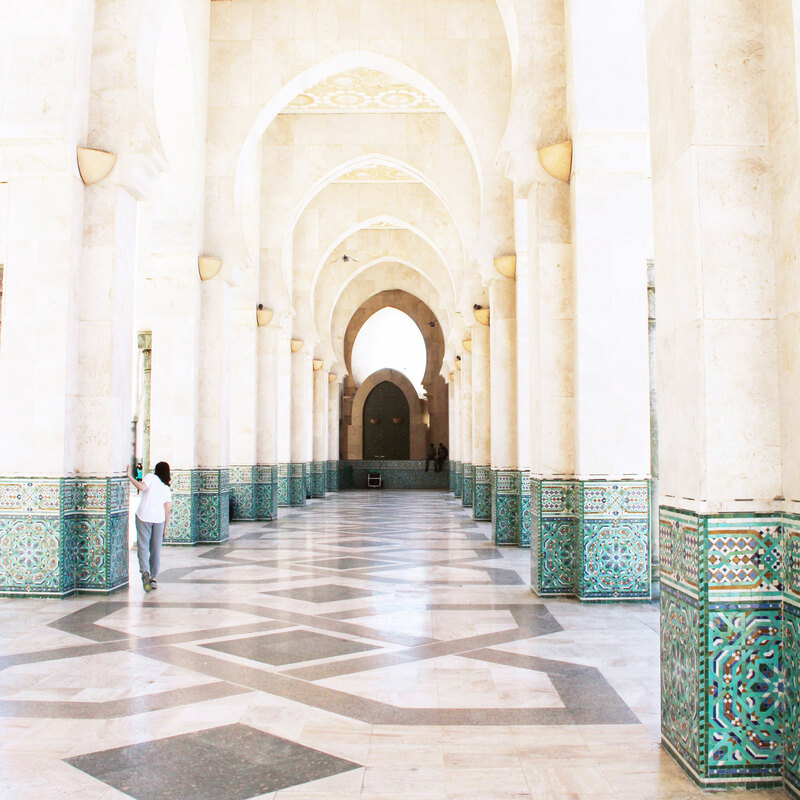 Or have you traveled to another place that has incredible artisan work? Share your thoughts below!